Jim Rogash/GettyRob Gronkowski is devout follower of Tom Brady’s methods. Rob Gronkowski began following Tom Brady’s diet and fitness regimen last year. Gronkowski also believes in the concept of pliability, and thinks it has changed his career. Tom Brady’s lifestyle, diet, and fitness regimen has become popular within the New England Patriots, and perhaps no player has taken to it as much as Rob Gronkowski. Over the last few years, Gronkowski has become a follower of the “TB12 Method,” Brady’s lifestyle (and business plan with friend, trainer, and business partner Alex Guerrero) that stresses clean eating, a strict lifestyle, and pliability over conventional weight-lifting. After two mostly healthy seasons in which he missed just five combined games, Gronkowski said it’s great to learn from Brady about how to take care of his body. “Just learning from him and how to take care of your body is just a great process,” Gronkowski told Business Insider in October while promoting his work with Honey Nut Cheerios. “It’s unreal to learn from him,” he said. Last year, Gronkowski showed up to Patriots training camp bragging about being more pliable and eating healthier than ever. Gronkowski was reportedly even following an alcohol diet that Brady and Guerrero assigned to him – three glasses of water for each alcoholic drink (we tried it; it’s not easy). Brady’s diet is famously strict. He follows a mostly plant-based diet but excludes nightshades, which include tomatoes, peppers, and mushrooms. He also doesn’t eat many sweets, avoids caffeine, and mostly avoids alcohol. Even some fruits are off-limits. 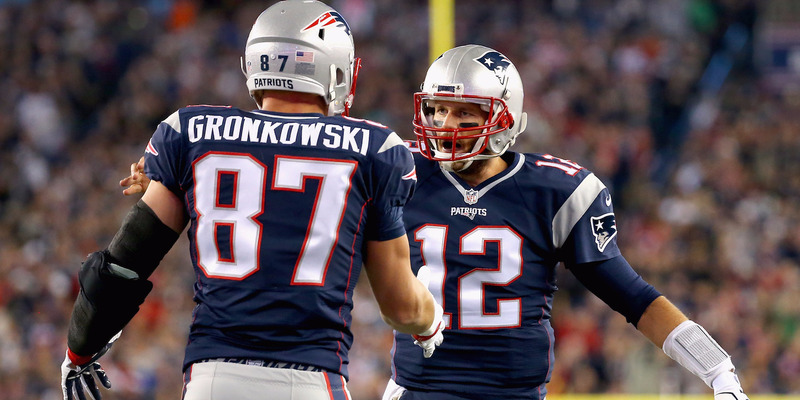 According to a report last season, Brady was cooking Gronkowski TB12-approved meals. Gronkowski said he’s tried some things he likes and loves one particular dish – avocado ice cream. Brady and Guerrero’s methods have driven a bit of a wedge within the Patriots in recent years. ESPN reported last season that some players felt confused about whether to follow Brady and Guerrero’s advice or the Patriots’. Brady also reportedly felt that Bill Belichick’s methods were outdated, while Belichick felt he was losing grip on the team. Still, the results for Brady and Gronkowski are hard to deny. Despite rumours of retirement last season, Gronkowski announced his return to the team by saying he felt more pliable. He told us he thinks it has changed his career and helped extend it.